Surprisingly another new problem was put up at the main boulder at TDA. A fairly obviously line at that which somehow got overlooked over the years! Marijus Šmigelskis added an alternate sit start to "Skunk", starting as for "Invisible Monsters" and climbing straight up and slightly left to create "Monster Skunk" 7C. At Redhill, Andrew Wood sent the classic traverse testpiece "Elfen Lied" 8A on his 1st try after two previous sessions working the line. Later that day, he made an impressive flash of the powerful "Madness the Magnet" 7B+. Marijus Šmigelskis added a harder finish to "The Crazy 88" which involved a big throw to poor slopers, to create "Pai Mei" 8A+. 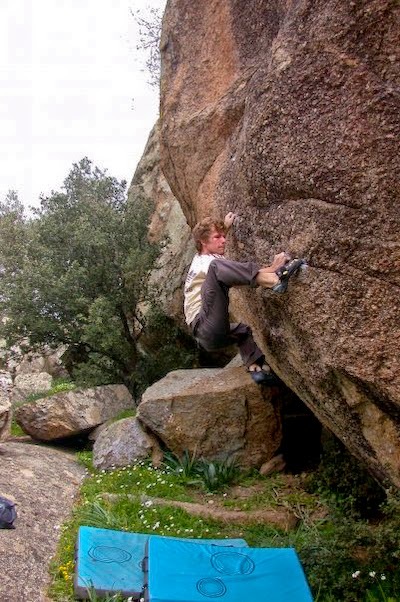 Edvinas Šmigelskis visited Turkey's premier bouldering area, Bafa Lake and managed to get some impressive sends in on his 2 week stay. 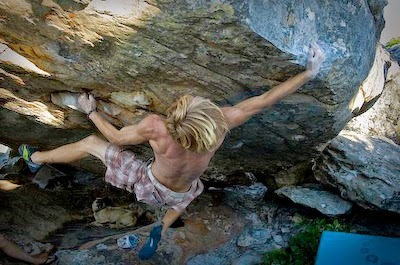 The highlights were fast sends of "Epifanic" 8A+, the dyno problem "Kill Bill" 7C/8A and "Moon Safari" 8A.